As of May 15, Tampa residents are now able to travel express to and from Miami and Orlando for as little as $1, from the HART Marion Transit Center (MTC). By making other connections residents gain access to 120 cities across the USA, dramatically expanding the intermodal system at MTC. That was made possible through a 5-year partnership agreement between HART and Megabus.com. Megabus will pay HART a fee per year for access to the newly expanded MTC Station. The additional revenue does not require any other resources or personnel, and HART plans to reinvest the funds to further enhance MTC. The partnership is just one more example of how HART is focused on attracting new ridership, fueling revenues, and enhancing service through strategic innovation. The HART intermodal approach strives to connect various modes of transportation such as walking, bicycling, and using the TECO Line Streetcar System, Park-n-Ride facilities, and paratransit system. 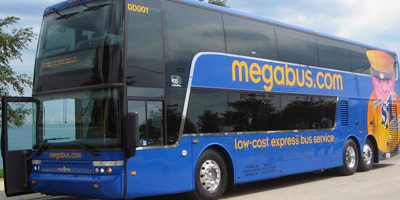 For more information, contact HART at 813.254.4278 or visit Megabus.com.